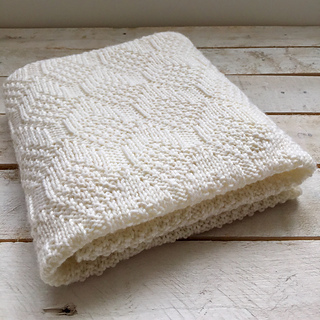 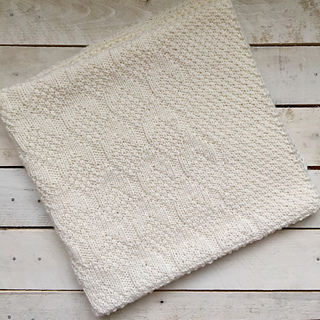 Rowe is a simple-but-sweet, rectangular, textured baby blanket. 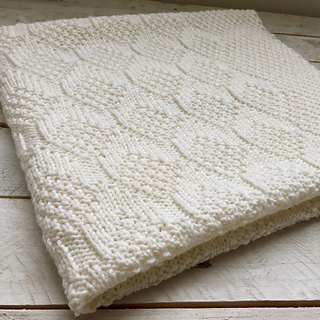 The Leaf Texture Pattern is a neutral choice for any baby, making this blanket a great shower gift for parents-to-be. 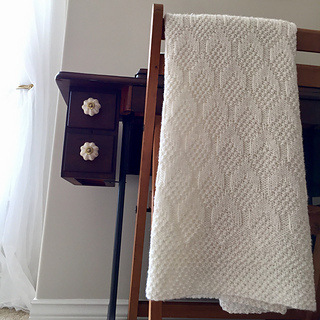 Worked in a soft, superwash wool for both warmth and ease of care, Rowe is a great size for cribs, bassinets, and strollers. 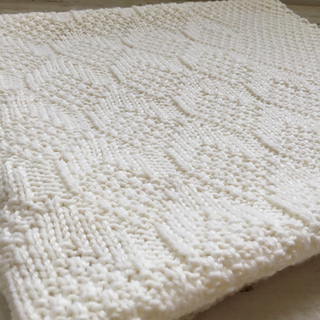 Shown in Cascade 220 Superwash (100% Wool; 201m/220 yd per 100 g/3.53 oz skein) in colour White (871). 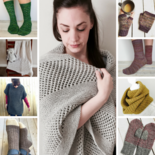 *Either one long circular needle (cable length at least 80 cm/32”) or one set of straight needles, as you prefer for flat knitting.